Mahalo from Surf n Sea – Hope to see you again soon! The main race course has changed, but the Pacifico SUP Derby is still here and still the most exciting SUP contest on the water. 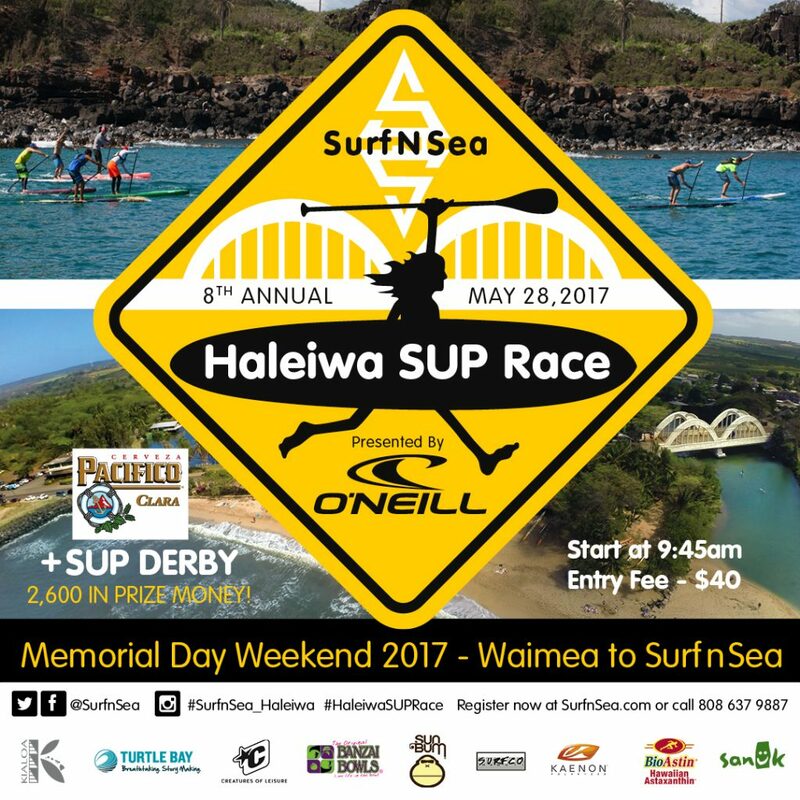 Come out and enter for your chance to qualify, or watch the fastest men & women paddlers in the sport battle it out just 100 ft offshore. 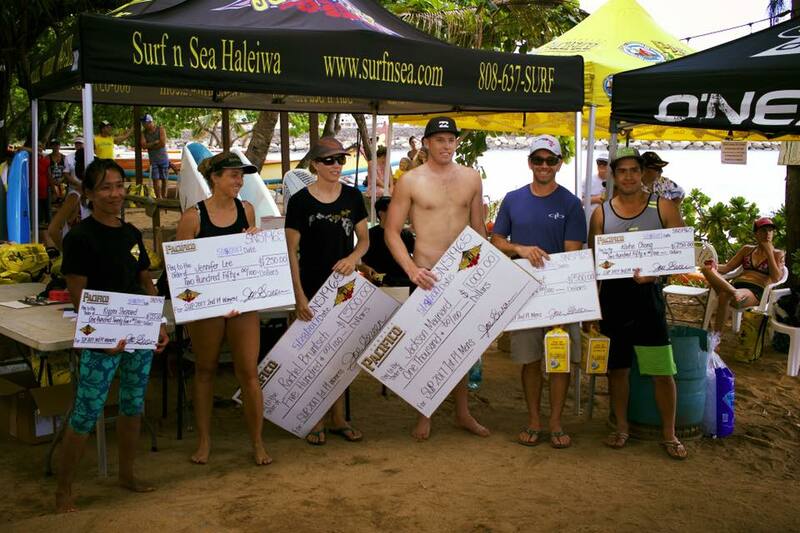 The Pacifico SUP Derby is the most spectator friendly an exciting SUP contest around. 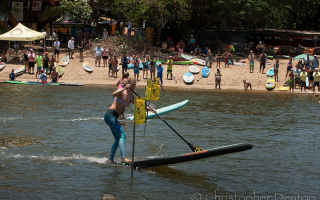 Enter the main race in the SUP Stock (12’6) Division, and place in the top 10 for fastest men & top 10 fastest women. The second challenge is the Pua’ena Point Sprint. 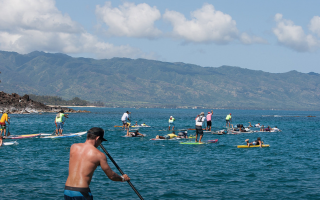 Starting on the beach at Surf N Sea, the top 20 paddlers will sprint around the Pua’ena Point rock and back. The top 5 men & top 5 women advance. The final final leg of the Pacifico SUP DERBY is the agility course in the bay behind Surf N Sea. 2 buoys will be set up for each racer. 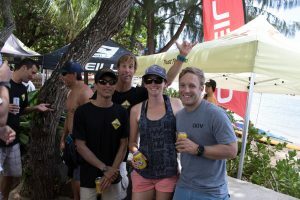 The first paddler to complete 3 laps will be crowned champion, win the big money, and earn bragging rights as the North Shore’s Fastest Paddler. Prizes will be awarded for 1st, 2nd, & 3rd place for both men & women. Last year we spectators witnessed multiple thrills, and spills, and exciting come from behind victories. Do not miss the opportunity to compete in or watch this event, its gonna be awesome!! 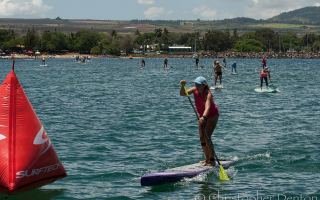 The Keiki Relay & Clinic is the perfect opportunity to get the little ones involved & the first 40 youngins to sign up get their chance to be a part of the SUP race action. We set up buoys just 20 yards offshore, split the kids into 2 teams, and cheer them on as they race around the buoys and back to the beach to tag their teammates. 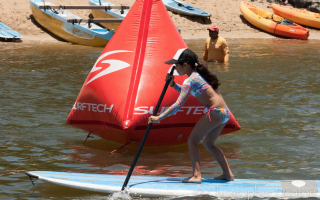 Staff will be on hand with safe from SUP’s to make sure all the keiki are safe, having fun, sized for the right equipment, and paddling correctly. Don’t worry about pushing the kids to the limits here, it is all designed to be fun and cooperative, and at Surf n Sea we believe everyone involved is a winner. Prizes and medals to be awarded for all keiki involved!!! And make sure to get your Keiki Relay entry form in to Surf n Sea TODAY — Space is Limited!